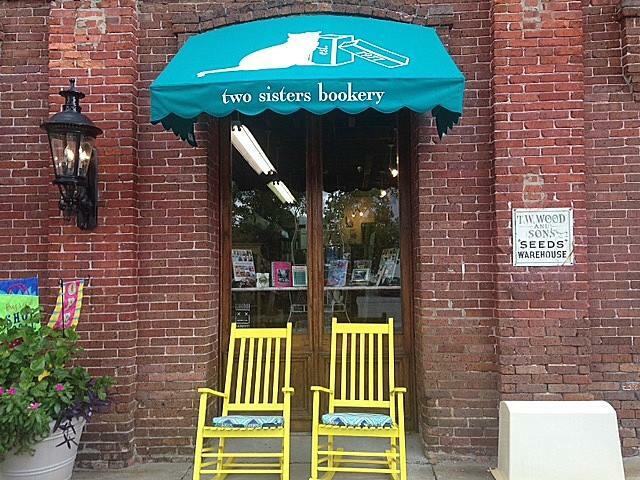 New Owner for Two Sisters Bookery in Wilmington, N.C.
Christine Greer has bought Two Sisters Bookery, Wilmington, N.C., "signing a three-year lease to continue occupying the store's current location at the Cotton Exchange," the Greater Wilmington Business Journal reported. Last month, Barbara Galvin announced her plans to retire and put the 40-year-old bookshop on the market. Galvin, who bought Two Sisters in 2011, will remain for about a month to help with the transition. Katie, the store's popular calico cat, will continue to reside there. Greer's daughter had noticed the Two Sisters sale announcement in an Internet post by Island Bookstore in Kitty Hawk. "She sent it to me. She's also an avid reader. That's a passion we share," said Greer, who is stepping away from her career as a registered nurse to focus on the bookstore. "I'll always be a nurse, but this is an exciting new adventure." Joan Loch of MoMentum Companies, which brokered the transaction, noted that 13 potential buyers had expressed interest within about 48 hours of her listing the sale online: "That reinforces the love and connection people still have for independent booksellers, particularly the following that Two Sisters Bookery has built over the years." Greer does not plan to make any drastic changes right away: "I do have a lot of marketing ideas and a lot of event ideas, and I'm pretty savvy with social media, so I think I'm going to maximize that," she said, adding: "I've been researching local authors. There's a really nice line of local books in there [at the store], and I'd just really like to take advantage of that." On Facebook last Thursday, Galvin wrote: "Two Sisters Bookery is off the market and sold. It will be in good hands and the new owner will introduce herself in the coming days.... Thank you again for all the good wishes through the sales process. Please show the same love to the new owner." Left Bank Books, the Left Bank Books Foundation and Central West End will hold the first annual BookFest St. Louis on Saturday, September 23. The festival will host a mix of local and internationally known writers, including Ann Leckie, George Hodgman and Charlie Jane Anders, and Sherman Alexie will begin the festival with a keynote address on Friday, September 22. Panels will highlight "the best of contemporary literary fiction, mystery, poetry, memoir, science fiction, young adult fiction and history." Family-friendly programming for children and middle readers will kick off the festival on Saturday morning, in cooperation with the St. Louis Public Library-Schlafly Branch. During the day, attendees will be able to purchase books, listen to live music and visit booths hosted by other St. Louis arts and literary institutions. "We are so proud to be able to bring this event to life, and to be able to work with the incredible team at Left Bank Books to welcome so many interesting and important authors to our neighborhood," said Kate Haher, executive director of the Central West End CID. "Our neighborhood has such a rich cultural history, as well as an incredible active contemporary arts scene, and BookFest St. Louis will be a wonderful opportunity for us to showcase that to book lovers from the neighborhood, the city and throughout the region." Located in the Central West End since 1977, Left Bank Books created the Left Bank Books Foundation in 2009 to promote and increase education, literary and cultural activities in the St. Louis area. "It was a natural fit for us to bring our mission of curating an intelligent and culturally diverse selection of books together with our deep commitment to the Central West End and St. Louis for this festival," Left Bank Books co-owner Kris Kleindienst said. Interabang getting ready for opening day. 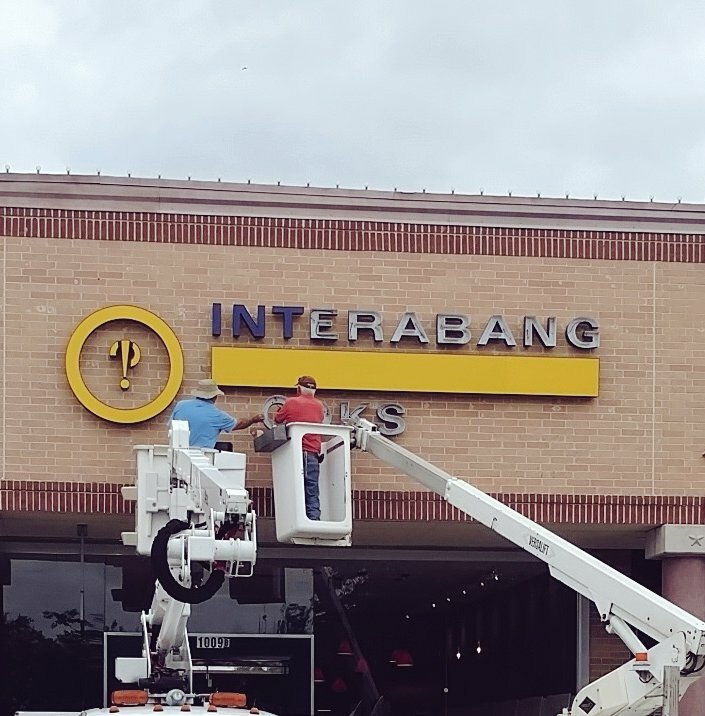 Congratulations to Interabang Books, which opens this coming Saturday, July 1, in Dallas, Tex. The store will host a grand opening party on Monday, September 11. Interabang will carry books in a variety of categories, with a special focus on fiction, creative nonfiction and children's books. The store will also host regular book signings, storytime and games for kids, along with other book-related events. It will also be a community center where children can visit after school, authors can mingle with readers and neighbors can share ideas. Among the first authors visiting Interabang for book signings are Beatriz Williams, Ace Atkins and Randy Schmidt. The owners are Nancy Perot, general manager Jeremy Ellis and book buyer Lori Feathers. Interabang Books is located at 10720 Preston Rd, Dallas, Tex. 75230; 972-364-1911. "Assuming the sale goes through, Amazon will be my landlord," said Steve Bercu, owner of BookPeople in Austin, Tex. 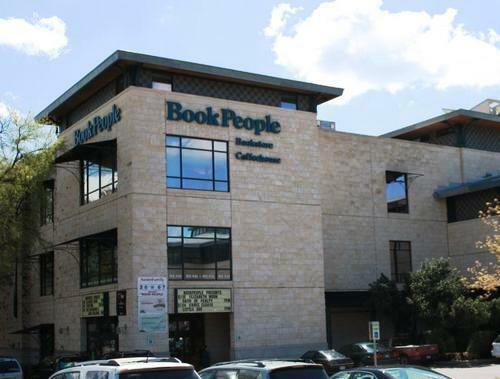 BookPeople is across the street from the Whole Foods flagship store, in a building owned by the company. Should Amazon's acquisition of Whole Foods occur, Bercu will have to pay rent to a company often seen as the enemy of independent bookstores. "I have a lease; the lease won't be affected," Bercu continued. "In that sense it doesn't really matter." Bercu was traveling when news broke on June 16 that Amazon intended to buy Whole Foods. Noting that there had been talk of sales the past two years, Bercu said that it was not a "super big surprise" that Whole Foods would sell, though the news that it would be sold to Amazon did cause some of his staff to get "excited about it a little bit." After Bercu sent out a message to staff members "letting them understand that it doesn't make any difference," things have calmed down in store. Looking ahead, Bercu has adopted a wait-and-see approach. It remains to be seen whether the sale will go through, and if it does, what exactly Amazon plans to do with Whole Foods. Bercu noted that Amazon may be interested in using existing Whole Foods locations as pick-up centers, which would be significant but could have a greater impact on nonbook bricks-and-mortar retailers. He also pointed out that with the deal drawing so much attention, it may draw interest to Amazon's antitrust issues. 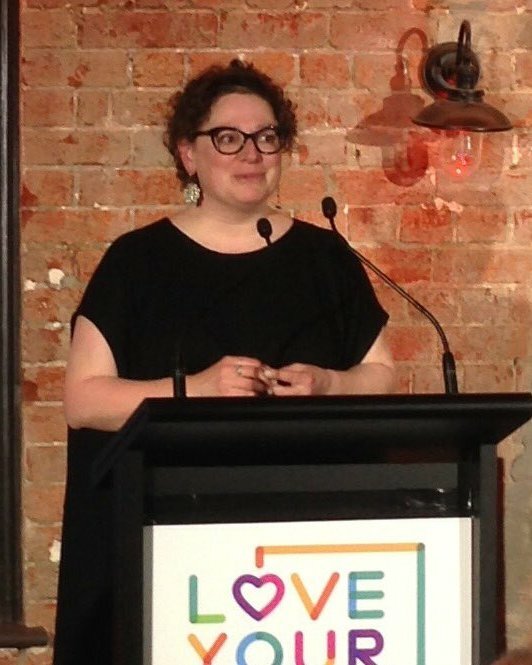 Held in Melbourne a week ago, the Australian Booksellers Association's 93rd annual conference had the theme "collaboration and community" and resembled one of the American Booksellers Association's Winter Institutes. The gathering drew more than 300 people and featured lots of panels at which a mix of veteran and younger booksellers shared ideas, a brief exhibitor session, a very entertaining gala dinner and keynotes by Waterstones' managing director James Daunt (see yesterday's story here) and Shelf Awareness's John Mutter. 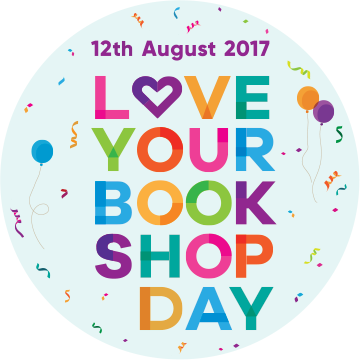 At the conference, the ABA announced that it is rebranding the annual National Bookshop Day as Love Your Bookshop Day. On Saturday, August 12, booksellers across the country will be hosting parties for themselves, their customers and their staff. "Think balloons, bunting, streamers, fairy lights, cake, dressing up, discounts and prizes--the sky's the limit just as long as it's a party for your shop," the ABA said. It's putting together a range of LYBD material featuring well-known Australian authors sharing #whyIlovemybookshop. ABA member booksellers will also receive copies of a special edition of Five Go Bookselling. Member reaction was highly positive. One ABA bookseller said that the name change made the event sound "less like a government program and more like a fun event." 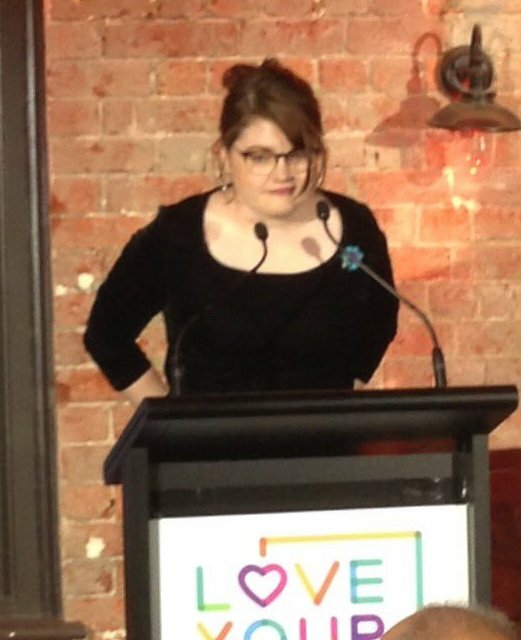 ABA Penguin Random House Young Bookseller of the Year: Sarah Deasy of Avid Reader Bookshop & Café, West End, near Brisbane. A panel called "analogue marketing" served as a reminder that despite the growing power of social media and digital, there are many highly effective, old-fashioned methods of marketing. Moderator Jay Lansdown, owner of the Constant Reader in Crows Nest, near Sydney, discussed an unusual example of analogue marketing: his long, narrow store's lack of signage. Not having signs "creates an air of mystery," he said, and leads to customers discovering titles in areas that might have avoided if there were signs. In addition, having no signs "encourages me and the staff to be engaged with customers," he continued. "Customers walking around with a 'where-am-I?' look gives us a great opportunity to start a conversation and help them." Anna Low, owner of Potts Point Bookshop, Potts Point, near Sydney, called sidewalk chalkboards "probably our most successful analogue marketing tool." The boards, she explained, get a lot of social media attention, are a great way of advertising events, and "start conversations with customers." Fiona Stager, co-owner of the Avid Reader Bookshop & Café, West End, near Brisbane, praised shelf talkers ("they're a way to handsell when I'm not in the shop"); a staff pick stand (very effective with the many customers who trust a particular staff member's recommendations); and the store's book of the month program, featuring a fiction and a nonfiction title ("people come straight up and grab them"). Jane Seaton, owner of Beaufort Street Books, Mount Lawley, near Perth, "thoroughly recommended" having a cookbook book club. Her store has had one for three years, and members are so devoted that one of them flew back from Melbourne to participate in a recent meeting (a trip of about 1,700 miles). Seaton also uses a large chalkboard on the wall behind the cash register to highlight the store's calendar, events and other information. 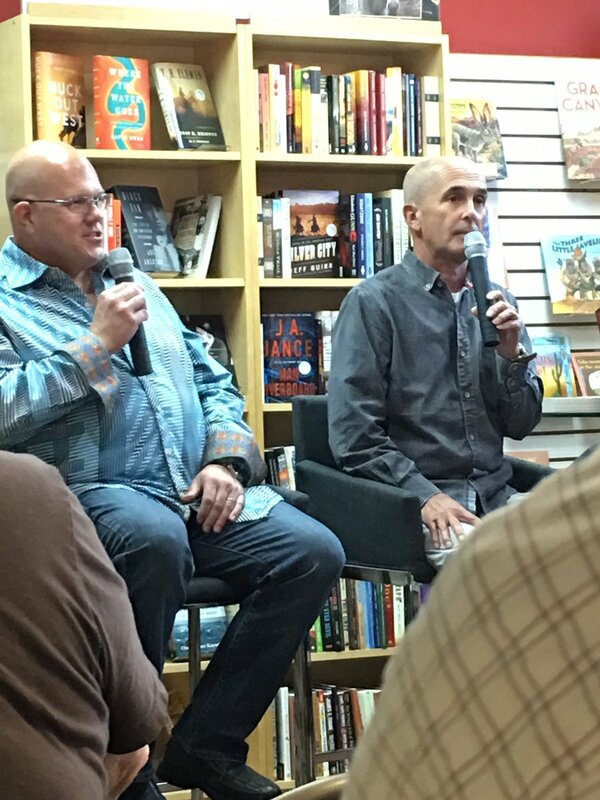 Don Winslow (r.) did a prelaunch event for The Force (Morrow) at the Poisoned Pen, Scottsdale, Ariz. Winslow was interviewed by Robert Anglen, lead investigative reporter for the Arizona Republic. Happy 90th Birthday, Strand Book Store! The Strand's 90th birthday cake. 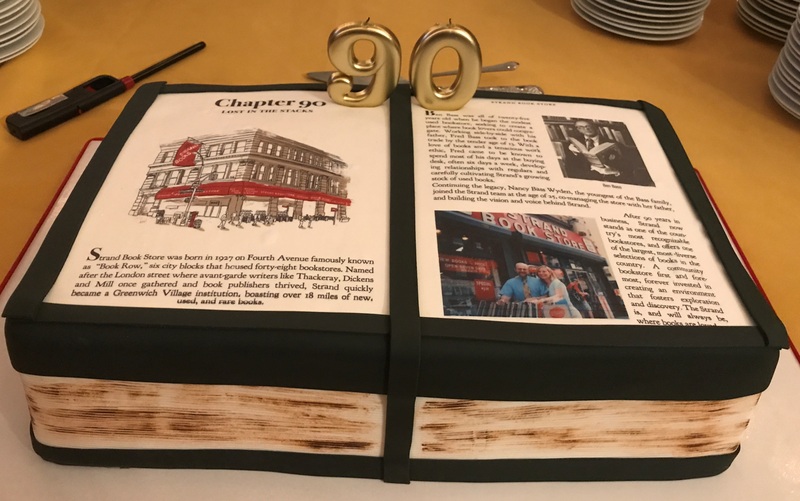 Congratulations to the Strand Book Store, New York City, which last night celebrated its 90th birthday with a party in its Rare Book Room. Among the many grateful booklovers who spoke were Mayor Bill de Blasio, who proclaimed yesterday as Strand Book Store Day in New York, and Lisa Lucas, executive director of the National Book Foundation. Owners Fred Bass, who himself turns 90 very soon, and his daughter Nancy Bass Wyden happily accepted the accolades. 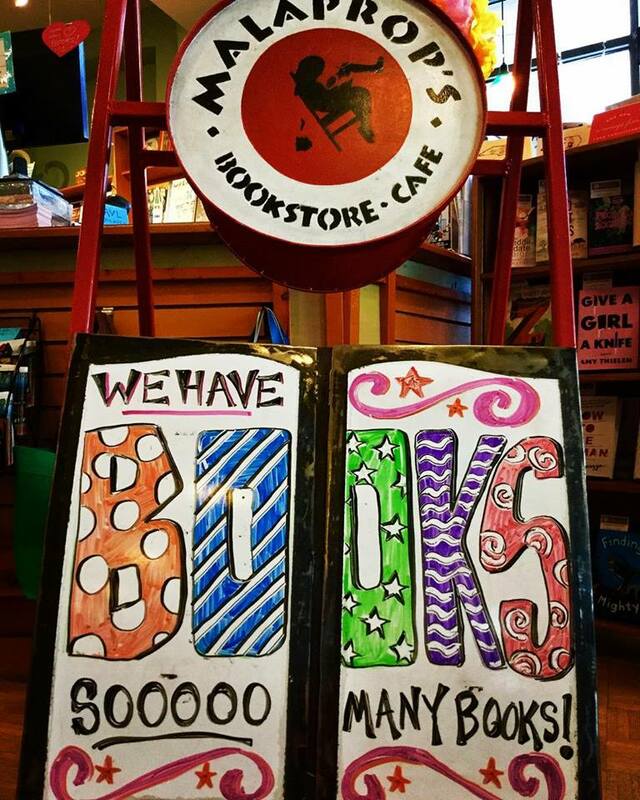 On Facebook recently, Malaprop's Bookstore/Cafe, Asheville, N.C., posted: "We have other things too, but we do the book thing the best." Sandra Cohen is joining Little, Brown Books for Young Readers as director, licensing & brand management, effective July 5. She was most recently senior publishing manager, Latin America, at Hasbro. Prior to that, she was senior director, international media & publishing at Nickelodeon & Viacom Consumer Products. The Child by Fiona Barton (Berkley). Today Show: Lin-Manuel Miranda, co-author of Hamilton: The Revolution (Grand Central, $45, 9781455539741). Fresh Air: Michael Wallis, author of The Best Land Under Heaven: The Donner Party in the Age of Manifest Destiny (Liveright, $27.95, 9780871407696). Imus in the Morning: Mark R. Levin, author of Rediscovering Americanism: And the Tyranny of Progressivism (Threshold Editions, $27, 9781476773087). Fox Business's Kennedy: Brad Thor, author of Use of Force: A Thriller (Atria/Emily Bestler, $27.99, 9781476789385). The View: Adriana Trigiani, author of Kiss Carlo: A Novel (Harper, $27.99, 9780062319227). Angela Lansbury "is in talks" to join the cast of Little Women, a three-part series adaptation of Louisa May Alcott's classic novel for BBC One and PBS Masterpiece. Deadline reported that the project, from Colin Callender's Playground, is written by Heidi Thomas (Call the Midwife) and directed by Vanessa Caswill (Thirteen). Filming is scheduled to be begin in July. Daniel H. Wilson (Robopocalypse) looks to the past in a novel about a race of robots more ancient and yet more advanced than humans can comprehend, hiding in plain sight among us. Years ago, June Stefanov's grandfather opened a locked box in his shed and showed her a "crescent-shaped slice of metal the size of a seashell" with "a labyrinthine pattern of grooves--a language of bizarre angles." Before he immigrated to the United States, he told June, he fought in World War II and witnessed a man of supernatural strength withstand a hail of bullets and turn back a German tank singlehandedly, speaking to no one and leaving behind the metal artifact. He called the man an angel of justice, something old and alien and able to appear human, and entrusted June with the relic upon his death. June, now a grown woman, spends her life in pursuit of the mystery behind the story and the relic. 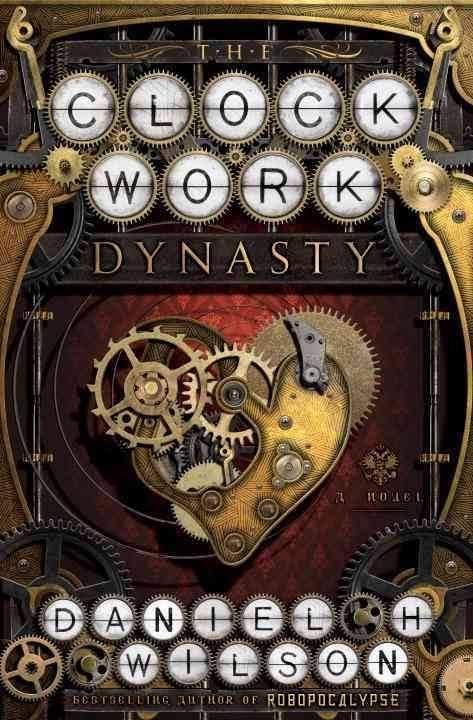 An anthropologist specializing in ancient technology, she hunts across the world for examples of antique automatons, complex clockwork dolls she believes may hold the key to the secret of the relic. However, her investigations have been noticed by the very beings she seeks out, a handful of sentient automatons who call themselves the avtomat and want the relic back. When two of them catch up to her, June gets caught in their centuries-old feud. Her only hope for survival is to trust Peter, an avtomat whose current memories date to the court of Peter the Great in 18th-century Russia. Shelf Talker: An anthropologist digs too close to the truth of an ancient race of alien robots still walking among humans, and must solve their mystery to save her life.